Hi! I hope you have all had a great holiday and are looking forward to the new year. It has been a fantastic year on Pillarboxblue. I love this job, I get to make and create lots of different things and then show them off on the blog. New Year is a time when I like to take stock and reflect on the previous years successes and then focus on my plans and goals for next year. I’m so excited about 2017 I have a feeling it’s going to be a good year for me personally. However I think that every year and every year it is on the whole, I’m one of life’s eternal optimists. 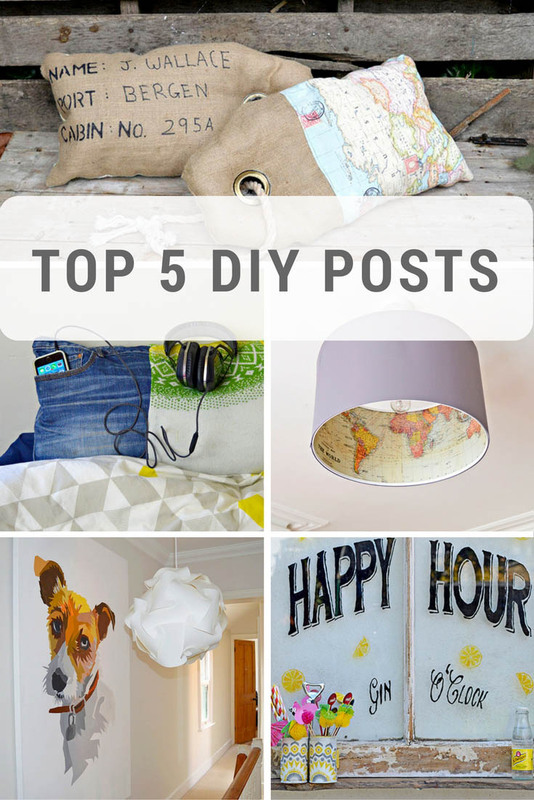 As part of this reflection, I thought I’d share with you my top 5 DIY posts of the year. 1.It’s so easy to paint your own giant wall art. I’d love to take credit for this gorgeous painting of Lottie, but it wasn’t me who painted the picture but my talented friend Wendy. 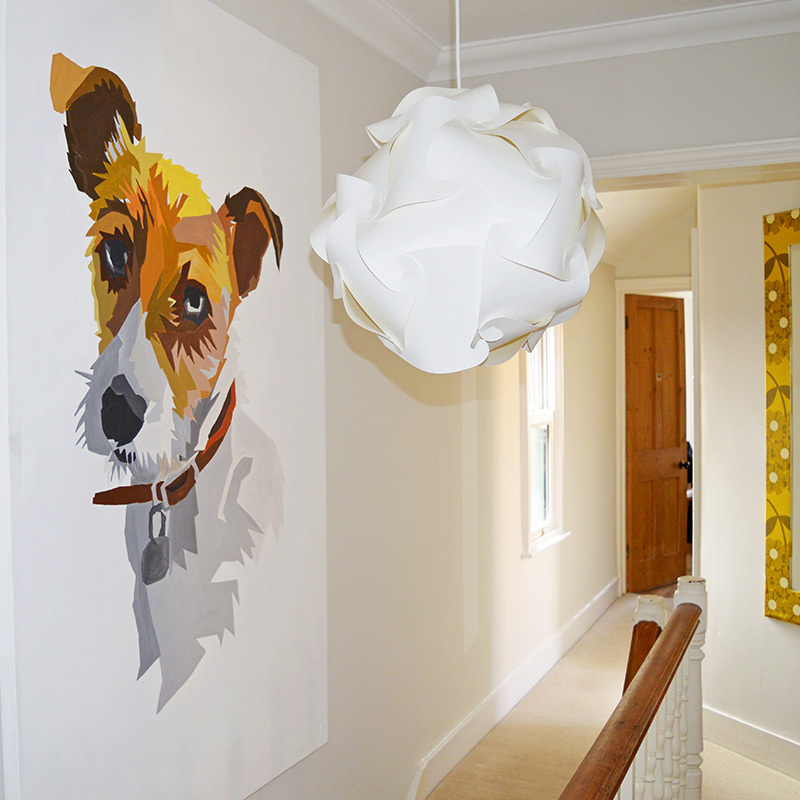 However I show you how you can create your own giant pet portrait. It seems that I’m not the only one who has a thing about maps. 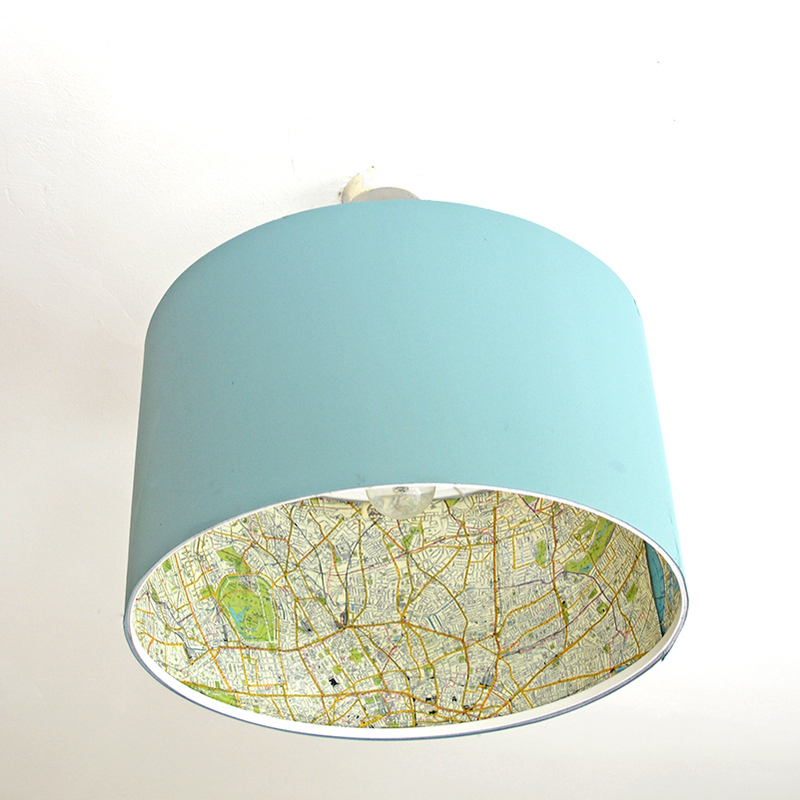 This is my most pinned post, maybe because it is such a simple pimp of a plain Ikea lampshade. Maps again, this time fabric ones. I think it was the unusual shape of these pillows that readers liked. Also the awesome thing about these pillows are that they can be personalised. 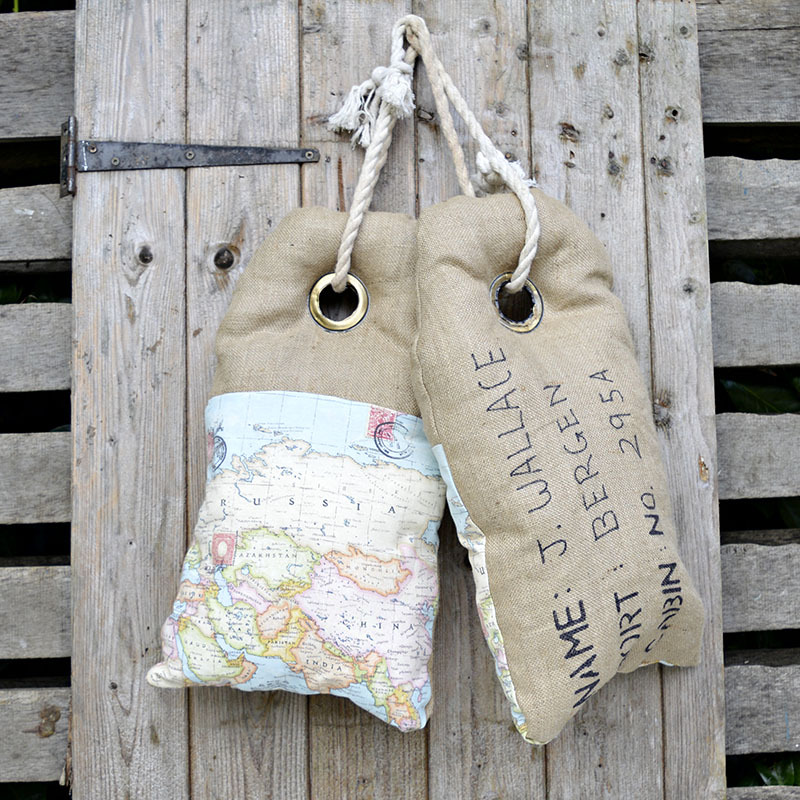 Denim, my favourite fabric to upcycle. 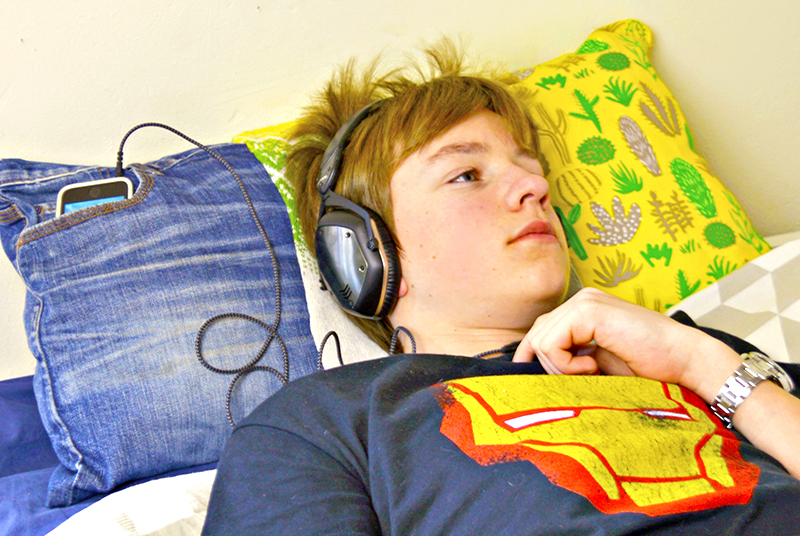 My son loves how I turned his old jeans into a pillow with a handy pocket for his iphone. I’ve revamped three windows this year, one into a upcycled window herb planter another into a old window Christmas decoration, a happy hour upcycled window. 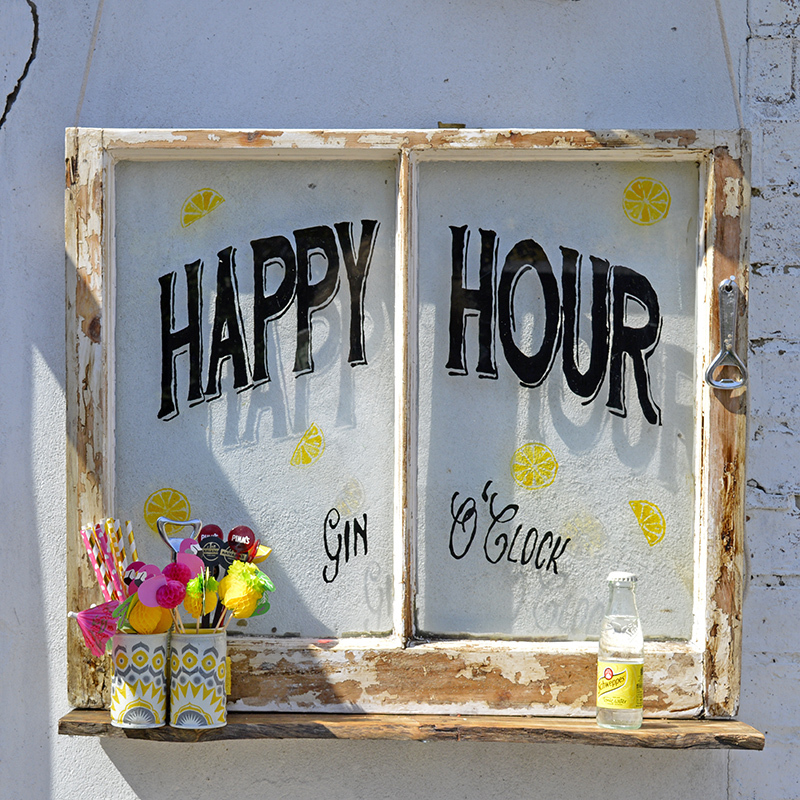 The happy hour window was my most popular window DIY. I can’t wait until the sun starts shining again, and I can sit outside sipping cocktails in the garden with my happy hour window. Even though it didn’t make it into my top 5 posts of the year, my favourite post of 2016 was my Marimekko wallpapered stairs. They certainly divided opinion, like marmite you either loved them or hated them. Personally I loved them and they still make me smile every time I open the front door. I would love to hear what was your favourite, DIY or craft project you completed this year ? It’s so fun to reflect back on the top posts. 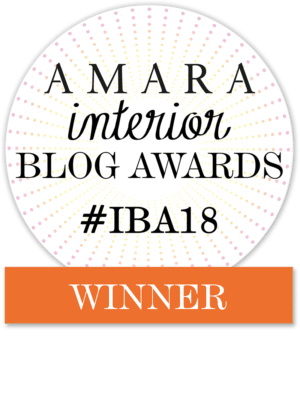 I remember your Ikea Lamp Shade and pinned it too! Love the map! So glad you party with us at Merry Monday. Your projects are all over our Pinterest board. Thanks for sharing with us. Thanks you so much for hosting and pinning. Thanks the window is great when sitting outside sipping cocktails in the summer. Thank you, the denim pillow is very popular with my son. Thank you, luckily there weren’t too many failures. In fact, I can’t think of any but that’s maybe because I’ve forgotten about them already! Thank you, that unikko print is one of my favourite fabric prints. Great round-up of ideas! Love all your map and Marimekko projects. I see why these were your most popular posts! They are all amazing ideas! Some I have pinned to my boards as well.